HYOGO (TR) – The Kobe District Court on Tuesday handed an American man an 8-year prison term for killing a 27-year-old woman and dismembering her body last year, reports Kyodo News (Jan. 22). During the trial, Yevgeniy Vasilievich Bayraktar, 27, admitted to killing the victim, a resident of Sanda City, Hyogo Prefecture, cutting up her body and dumping the pieces in various locations. The prosecution had sought a 13-year prison term,. Prosecutors told the court that the defendant attempted to conceal evidence, including his deletion of the social-networking service account he used to meet the victim. “You also bought a saw and used your smartphone to look up how to dismember a body,” the prosecution said. The defense suggested a five-year term would be suitable since the defendant has shown remorse for his crimes and assisted investigators in locating the body parts. Bayraktar was accused of manslaughter and destruction and abandoning a corpse. He was not indicted for murder since it was not clear that he intended to kill the victim, according to the prosecution. 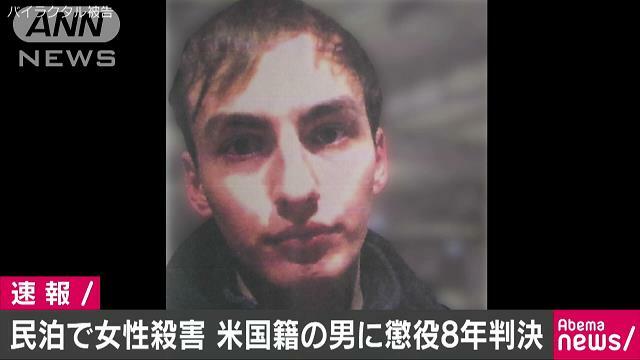 According to the indictment, Bayraktar, who is from Long Island, New York, killed the victim by strangulation at a residence in Osaka City’s Higashinari Ward on February 16, 2017. The defendant arrived in Japan at the end of January of that year. He was residing in the country on a 90-day tourist visa, staying at various residences for short periods. On February 24, officers found the victim’s head inside a suitcase in a residence in Osaka City’s Nishinari Ward. The following day, her torso, two arms and two legs were found in mountainous areas of Osaka and Kyoto prefectures.